Home > Part I: What is Peer Support? Peer support is as old as humankind. The concept sounds simple, but making it an effective part of health and health care is both an art and a science. There are literally thousands of peer support programs around the world. However, how would you define effective peer support? What can a successful peer support program look like? What are some well-known best practices? 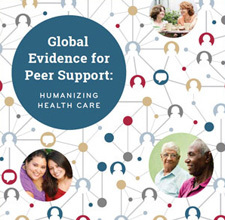 This part focuses on the science of peer support, including its definition based on the four key functions and their applications, as well as various approaches and models in the field.